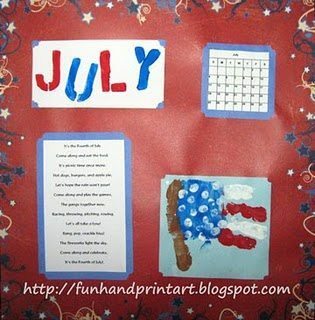 Today’s post is all about handprint and footprint 4th of July crafts to make with the kiddos. You’ll find eagles, flags, fireworks as well as a mural, t-shirt idea, placemats and a wreath! 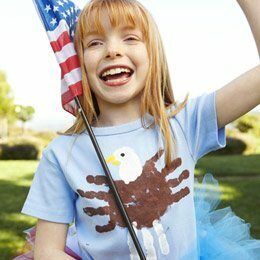 Make a patriotic Handprint Eagle t-shirt! 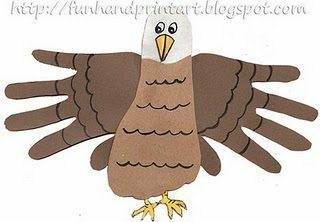 Isn’t this Bald Eagle Paper Craft using traced hands adorable? I love how sparkly these Handprint Fireworks are! Bobbi always has such cute handprint art projects! 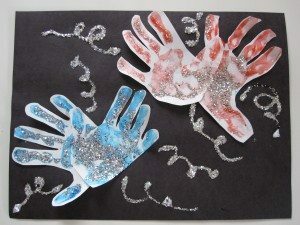 Another fun Handprint Fireworks Project using glitter! 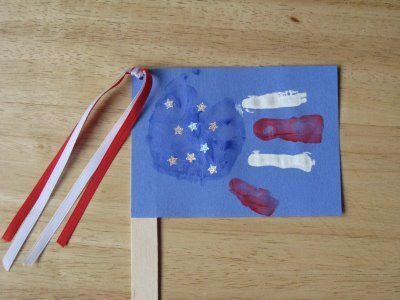 This Handprint Flag Craft is too cute! 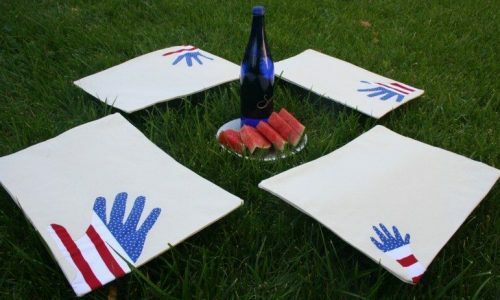 I love these Handprint Flag Placemats– they are such an easy, festive table decor idea! 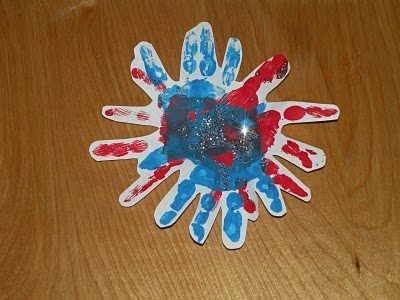 This Trace & Color Handprint Flag makes a perfect quick 4th of July activity with little-to-no mess! 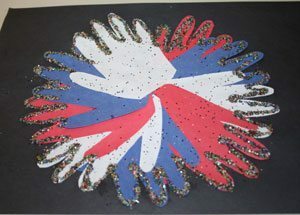 Check out the Painted Handprint Flag we made last year. It even has a poem to go along with it! Wow! This giant Handprint Flag Mural is awesome!!! 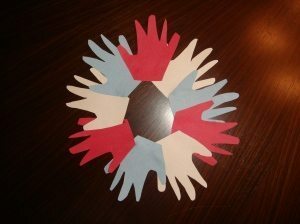 Make a Patriotic Handprint Wreath to hang in your home. oh my gosh, i cant believe i had a handprint craft you didn’t have already. i am honored, bc you always have THE BEST ones! Happy Fourth! 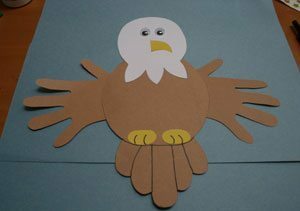 What fun ways to use your hands- I do love the eagle ones as well! Thanks for linking them up at The Sunday Showcase!